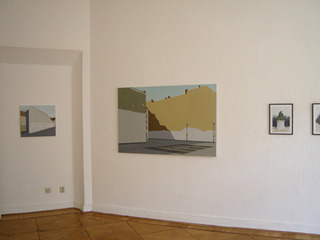 Gallery was founded by Heinz E. Wohlrab in February 2008. Name giver, the research module for scientific studies KVANT was docked to the first orbital space station MIR. Rechearch program is the architecture. Not even the traditional view of the archtekt on the architecture ist the focus. The differentiated view and the subjective formulation of the artist in context of his work cycle and the resulting discovery of the status quo are stated themes of the exhibitions. The galley represents a young generation of artists and provide an opportunity to to verify in thematic group exhibitions their artistic positions with other artists.